..:: Arif Habib Commodities ~ Invest with Trust ::..
ARIF HABIB COMMODITIES, an Arif Habib Group Company, is an investment arm of ARIF HABIB LTD.
ARIF HABIB COMMODITIES, is PMEX market maker that has Pakistan's largest client base served by Pakistan's largest trading team at Pakistan Mercantile Exchange. 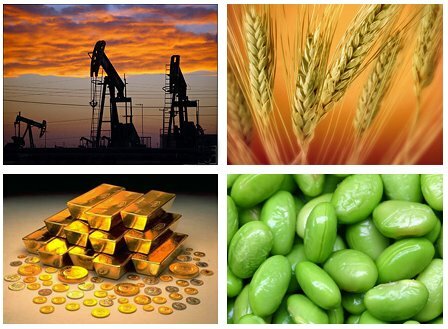 We offer the most relevant Research and Client Services making us one of the finest and Top Brokers of Pakistan Mercantile Exchange for GOLD, SILVER, BRENT/WTI CRUDE OIL, FOREX (GBP, JPY, EUR, CAD, AUD, SFR), COTTON, PLATINUM, COPPER, N-GAS, RICE, WHEAT and CHILLI in Futures/Spot Trading. The Arif Habib Group ranks amongst the largest and oldest conglomerate in Pakistan. Managing assets in excess of PKR. 240 billion, the Group holds interests in the securities & commodities brokerage, investment and financial advisory, investment management, REIT management, investment banking, construction, private equity, banking, cement and fertilizer industries. The Group serves over 100,000 local/international clients base. ARIF HABIB COMMODITIES, Corporate Member and Top Broker at Pakistan Mercantile Exchange, is a leading global commodities investor, trader, broker and investment management firm. Investors can open account for MILLI TOLA GOLD from Rs50/- or FUTURES Trading from Rs25000/- with no maximum value on PMEX 21 hrs Daily X 5 Days operative web based trading platform.